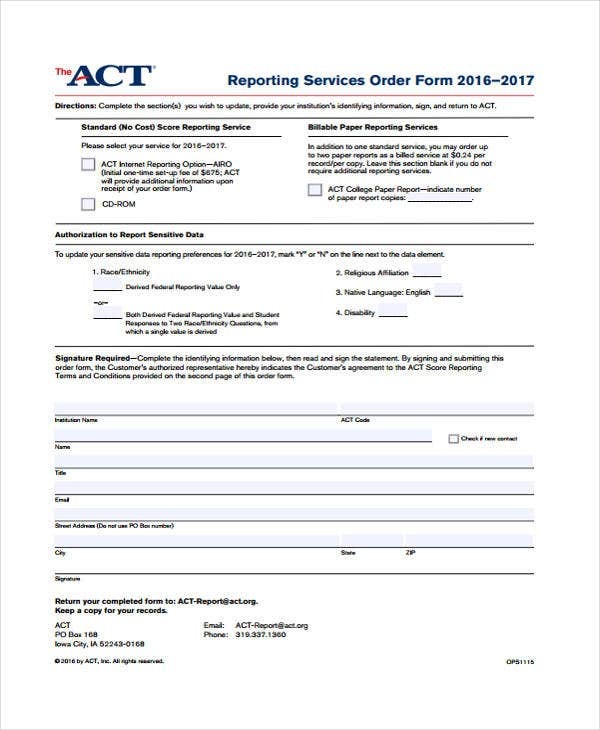 Every type of business has its own corresponding type of documents, especially order forms that need to be clearly matched with the type of transaction. 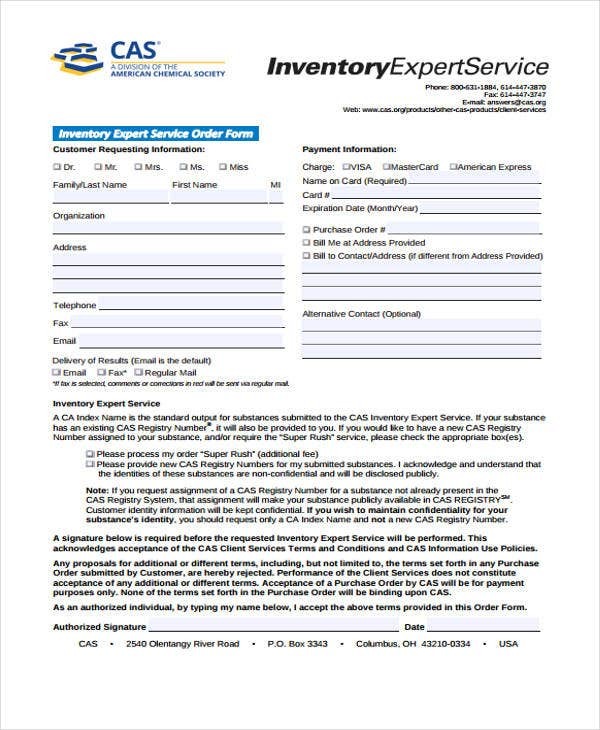 A service order for example, this type of order form issued to a customer who has benefited from services like utility usage, space usage, and more. 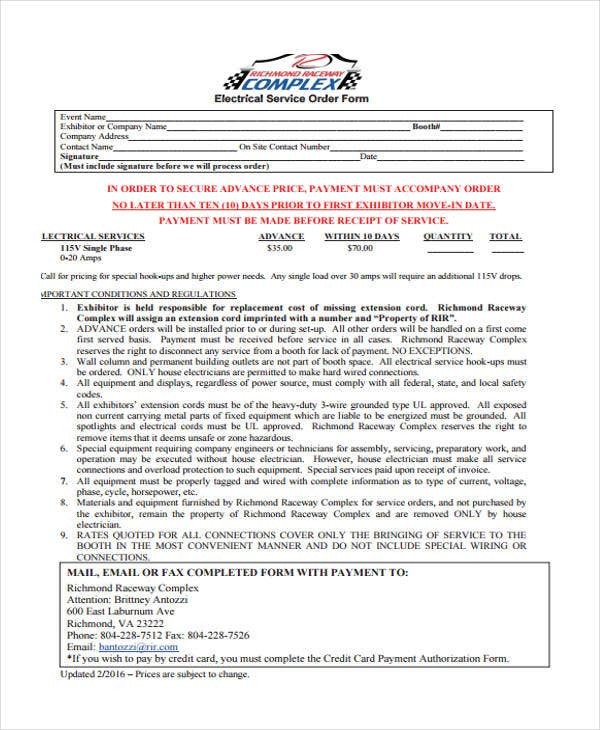 This is created to plainly record the service transactions as well as the fees that may be applied. 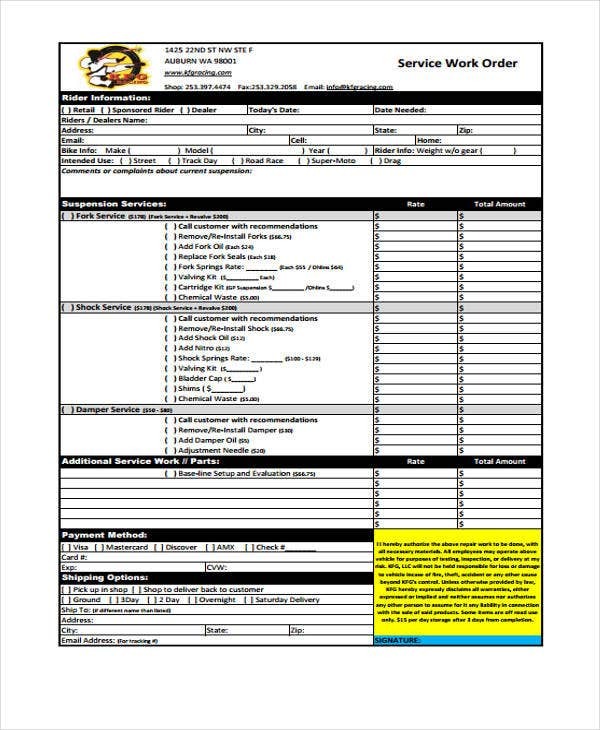 So if you are currently offering products and services in your business, you should give much thought and pay attention to coming up with sales orders, service orders, and purchase orders you can draft based on a sample purchase order template. 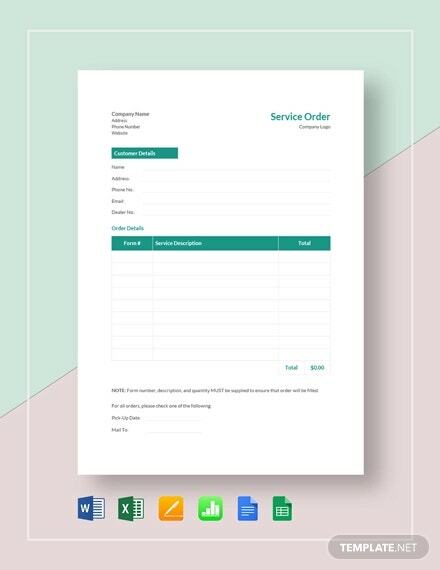 A service order is a type of order you can record with the help of an order form template. 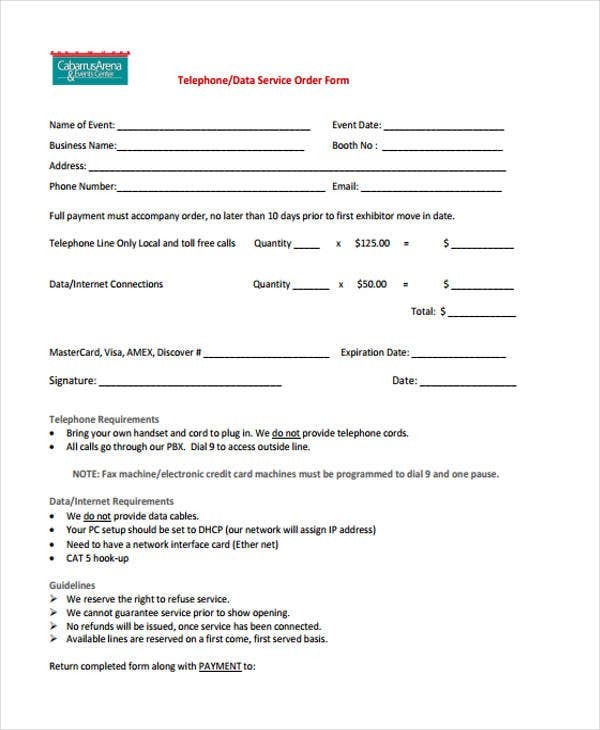 A service order contains the record of services rendered. It also validates the price agreements, warranties and other entitlements in a specific service contract. many others that requires usage of specific equipment and items. Definitions – This explains the applicable terms, the name of the parties involved, company property, safety and security policies, the name of the contractor, and the representatives of each party as well the person concerned in the service order. Services – This states the description of services, the clause where there is an acceptance of the contractor, the service orders that have been revised and are subject to change from time to time. Contractors Responsibilities – This is a section in which the contractors’ standards, payments, claims and liens are stated. The materials needed are also mentioned in this section. Compliance with the law, safety and security, loss prevention of equipment policy as well environment policy and warranties are also included in this portion. Keeping track of the service transactions of your business needs extra care and effort. 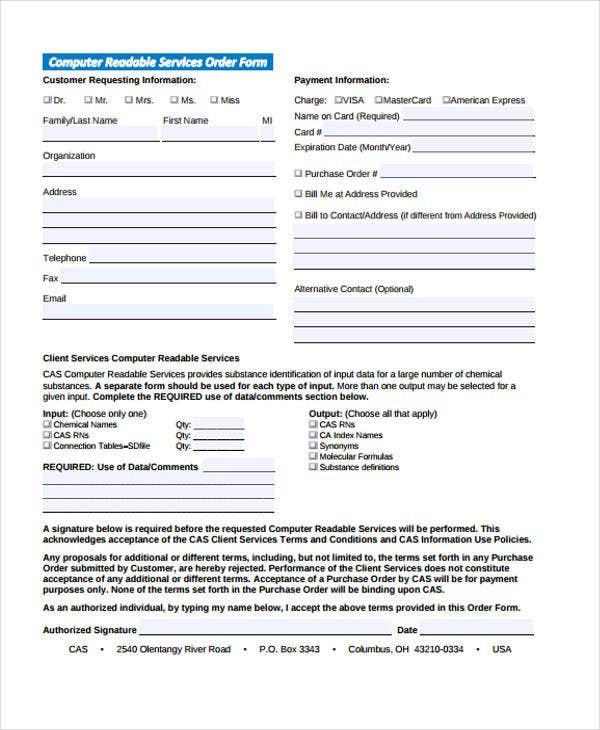 Whether it the transaction involves repairing services (for which you can use a repair order template), maintenance or delivery services (which you can make easily with a delivery order template), every order form is useful and vital. Firstly, service orders have standard information of the company and contractor, the services offered as well as the equipment and product used. That is why it is easier to interface vendor and customer returns because service orders act as the service history of the business transaction itself. 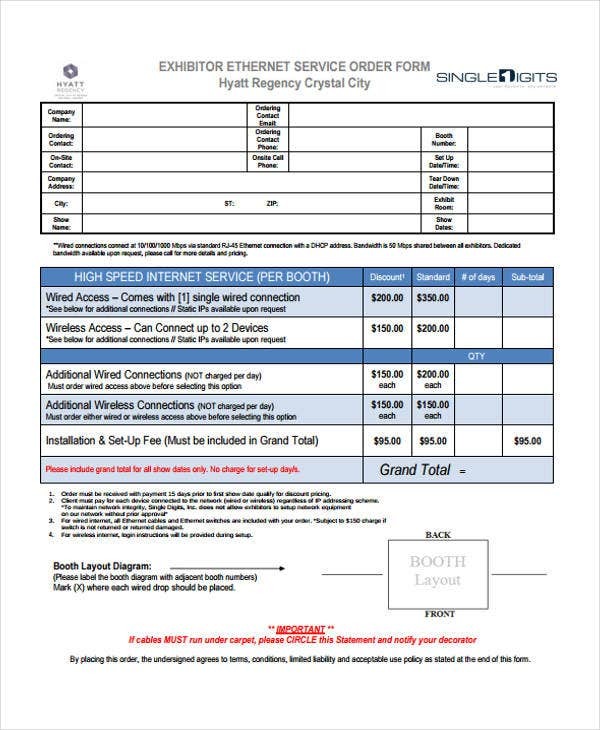 Another service order feature you should look forward to is its billing features that include the partial and total bill, along with other specifications, like discounts, that may have been availed of. 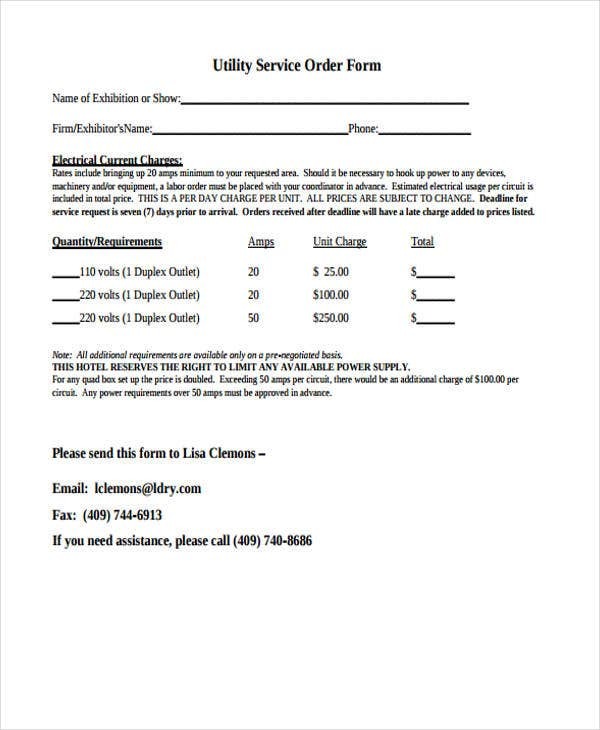 Third, service orders list the equipment used in the contract, considering the limits and scopes of service contracts. There is efficiency in the handling of the on and off demand services offered by your business. There is a quick record of daily pertinent and important facts of the services requested by customers. There is an accurate billing of the services rendered since a tracking date and time is recorded. There is a service history for each customer ensuring an authentic billing history too.